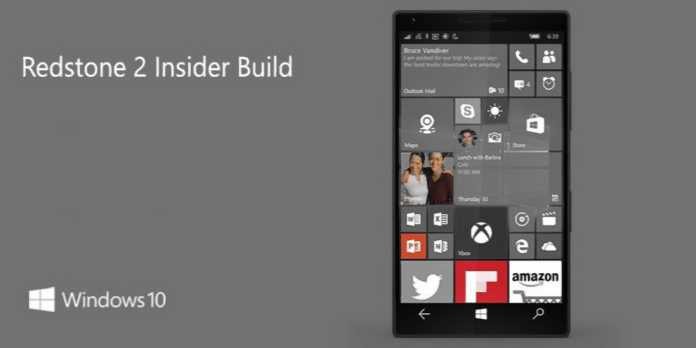 Windows 10 Redstone 2 PC build 14951 and Mobile build 10.0.14951 is now available to fast ring insider members. Many Windows 10 Mobile users are now reporting that the build 10.0.14951 stuck at “0% Downloading.” Microsoft acknowledges the problem and working on the fix. We’ve just launched build 14951 to the Fast ring today and we’re seeing reports from users saying their device is not progressing past “0% downloading” on the update screen. We’ve started digging through the logs we have already received to investigate the issue. This is not the first time insider members are facing this kind of problems. Previously, the company also warned insider members that initial Redstone 2 builds will be more buggy than usual. We’ll update the article as soon as Microsoft release the fix. Update: Some devices are needing to be plugged in to download the update. As an interim step, please plug your device into a charger and allow it to fully charge if it is not. Update 2: [Issue and Fix] – New issue detected in the latest Build 14951. If you sign out or disconnect your Microsoft Account from common applications like Feedback Hub, Groove, MSN News, etc., you will not be able to sign back into these applications. If you are already signed into your MSA before updating to 14951 and using these applications, you should not be affected after the update is completed. Cause: This was a regression bug we discovered during testing. While it is painful if it, most users will not be impacted. Workaround: Most users will not need to take action as they will not hit this bug. If you do encounter this situation after signing out, you will need to wait for a future build with a fix before using these applications once again. Resolution: This bug will be addressed in a future flight. Update 3: [Issue and Fix] – Microsoft has narrowed this down a new issue that only seems to affect devices on Windows 10 Mobile build 14946. The company is making a change to how Build 14951 is published so that Insiders can avoid hitting this issue. EASIEST-LONGEST FIX – If your device is already in this state, it will timeout after 5 days. Once the update times out, your device will get the updated metadata and should move forward as normal with download Build 14951. MEDIUM WORK FIX– If you factory reset your device on Build 14946 – Settings->System->About->Reset your phone – you will be able to download 14951 without issue now.